with this photo, the comment is “I can only tell you that under this OnePlus One there is a OnePlus 2”, which shows the size of OnePlus two will be less than the OnePlus one. 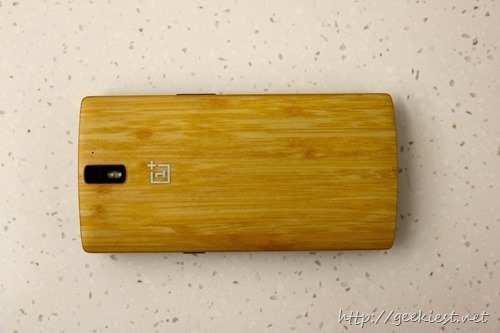 We believe it will be smaller size as of OnePlus One. there was also another comment for the question about battery which clearly says “Although the OnePlus 2 is smaller than the OnePlus One”. 6. The virtual reality launch will be via an application which users can download and use it with the cardboard, and without it. You will need to have an Android device to see it first time. For people using Computers/iOS/Windows devices will have to wait until they upload it to the YouTube. We love our fans and we'll make sure OnePlus users will get an easy access to OP2 invites. 9. Indian users will get the OnePlus 2 at the same time as the other part of the world such as United States. Europe/Asia, North America and China versions with much better band support than last time. 11. There will not be any exchange offer with OnePlus One. You know how exchange offers work right? Collect all the Phones, then sell them cheaply to a third party that freshens them up and sells them in other markets. We wouldn't be able to offer a good discount, and it's much better for you to just sell on Craigslist or Swappa. 12. Styleswaps will be much better on the new phone.